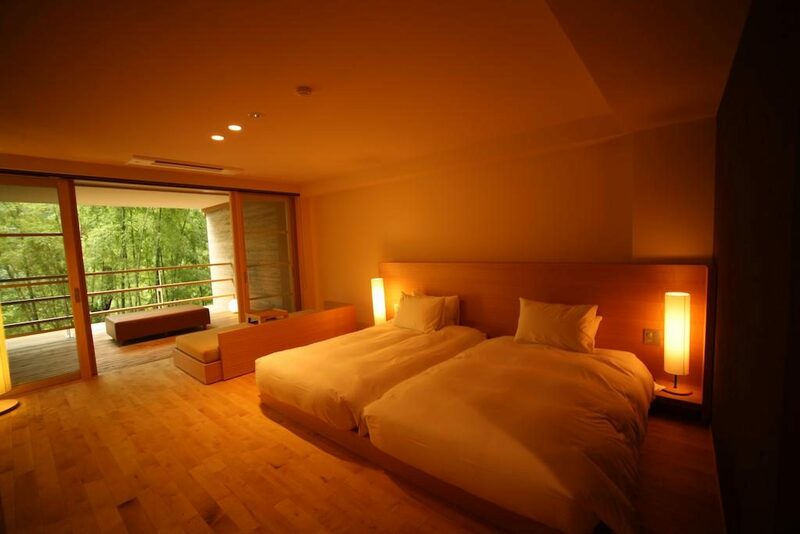 Hakone Ryokan – Less than two hours away from Tokyo, Hakone is the perfect destination to try something new, to sort of get off the beaten track of capital-style tourist attractions and catch some fresh air in a sublime natural environment. Tourists love to visit Hakone and even Japanese people go there to relax on weekends. Hakone is a mountainous region so you’ll bump into hot water springs (called onsen) almost everywhere you go and they’re all located in absolutely delightful and quiet settings. 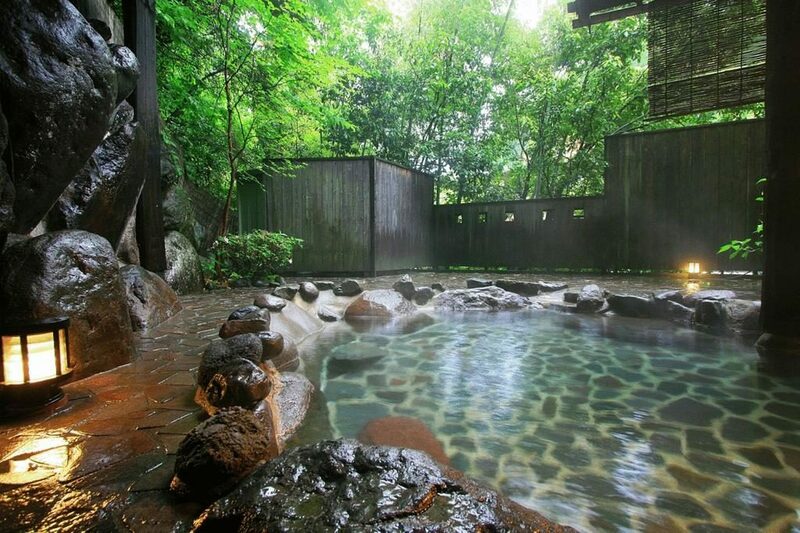 There’s no doubt you should at least once soak in those exquisitely warm onsen during your stay in Hakone. If you’re still hesitating, let me make it easier for you by suggesting my top 5 of the region’s best ryokan inns, a selection based primarily on the “quality” of the onsen. Brace yourself ! Let’s start this list with a really good one. The magnificent Kinnotake Tonosawa Ryokan is located near the Tonosawa train station so it should be easily accessible. 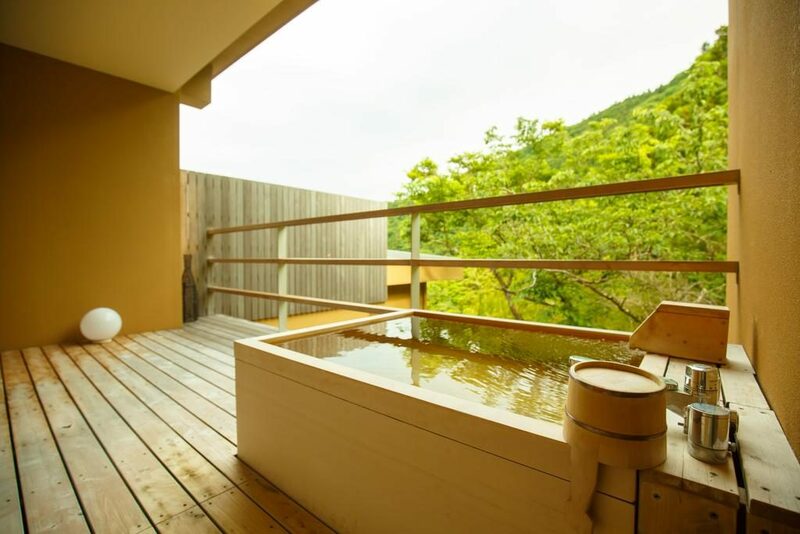 Once you’re there, be sure to jump in the open air private bath in your room to relax and enjoy Hakone’s beautiful scenery. 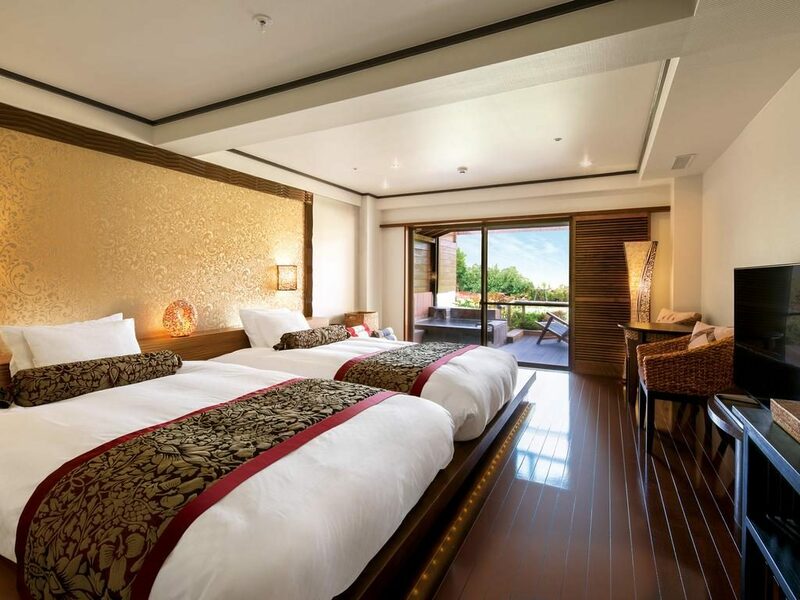 The Kinnotake Tonosawa Ryokan has been built fairly recently so it has a more modern design and is luxuriously furnished, with Western style beds instead of futon on tatami mats for example. 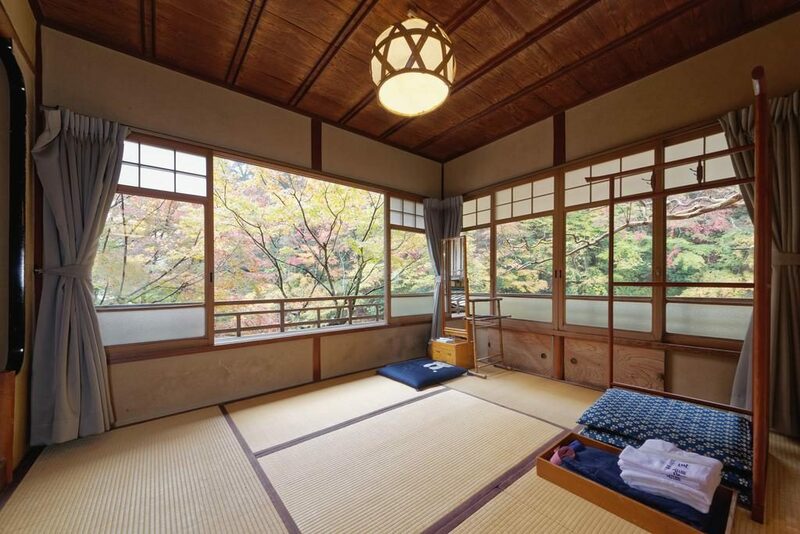 So if you’re not into sleeping on the ground, give this ryokan a try! The Fukuzumiro is a more traditional kind of ryokan. It’s also not far from the Tonosawa train station and so is easily accessible. The Haya river is right next to it and you’ll have access to an individual wooden bath to give your experience a more rustic authenticity. You will not resist the urge to paddle in the hot water! 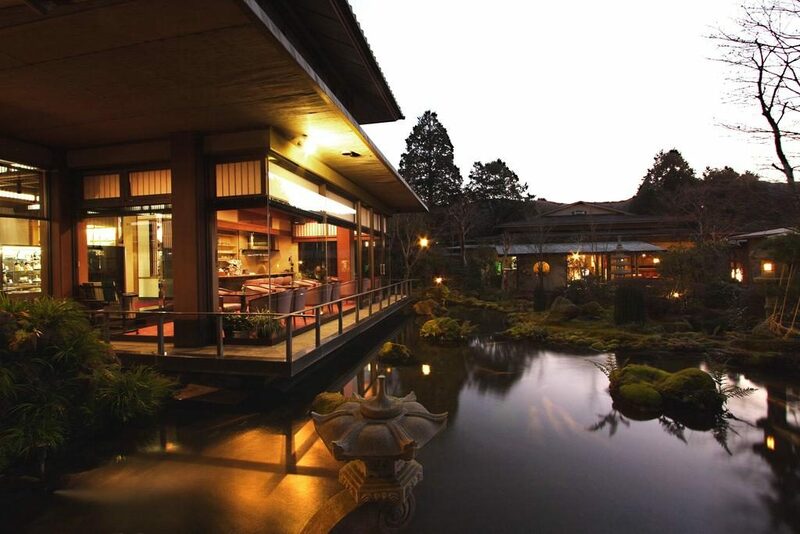 The Yoshimatsu Hakone is the third ryokan on this list. 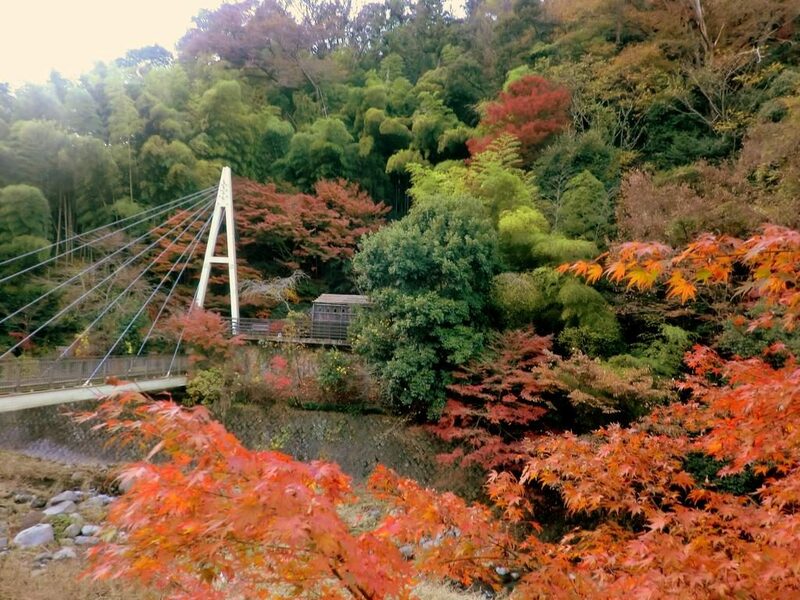 If you check out the pictures, you’ll see it has a beautiful Japanese-style garden and is right next to lake Ashi. 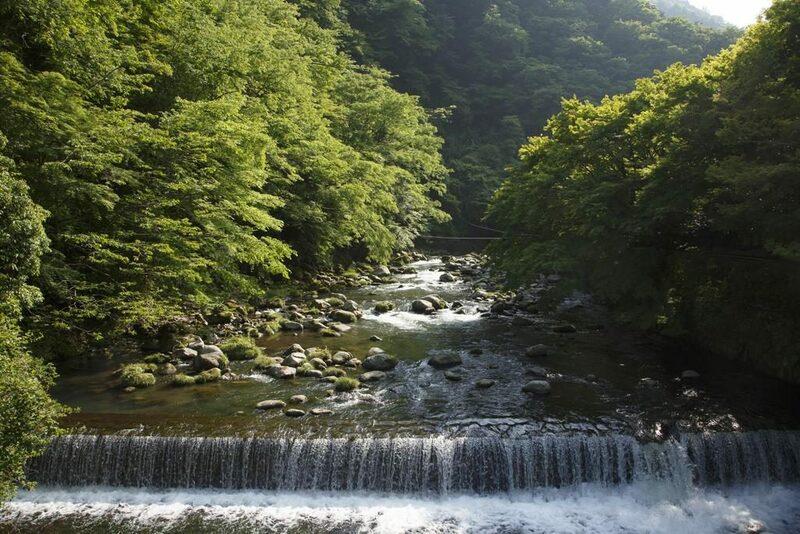 Since it is located a little bit far from the city, you will be offered a free ride there from the Hakone Machi station. 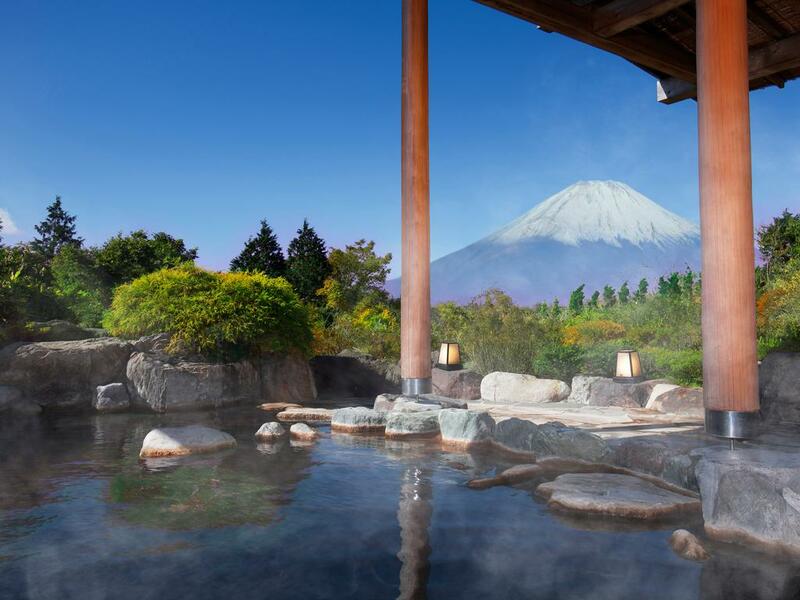 Just like all the ryokan of this list, there are open air, hot spring water baths for customers to enjoy along with beautiful views of the surrounding nature. How about that for a change ? Let’s not end this Hakone top 5 best ryokan too fast and enjoy the beauty of the Shiunso open-air onsen you can see in the picture below. Lost in wild nature and surrounded by greenery, morning coffee will not taste the same in this exceptional setting. 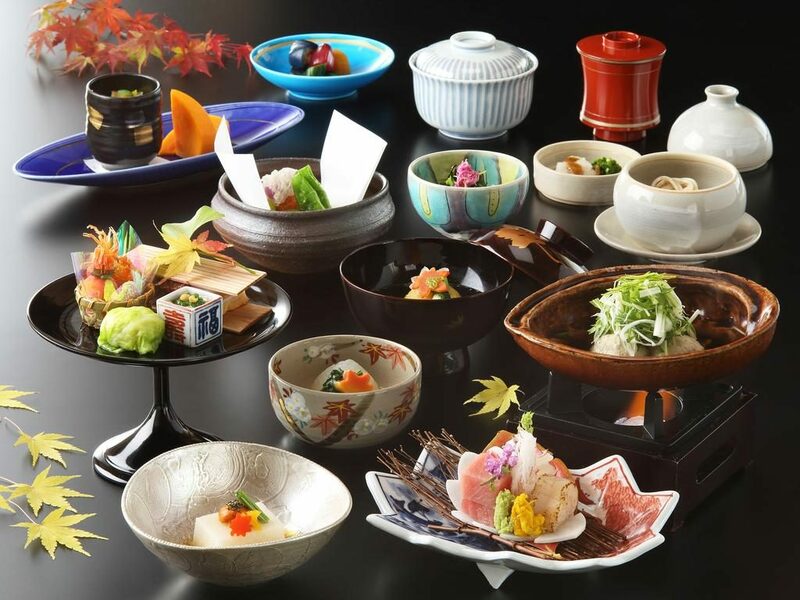 It’s also beautiful to stay in during autumn season and you’ll be surrounded with the notorious momiji, those maple tree leaves that go red in autumn. 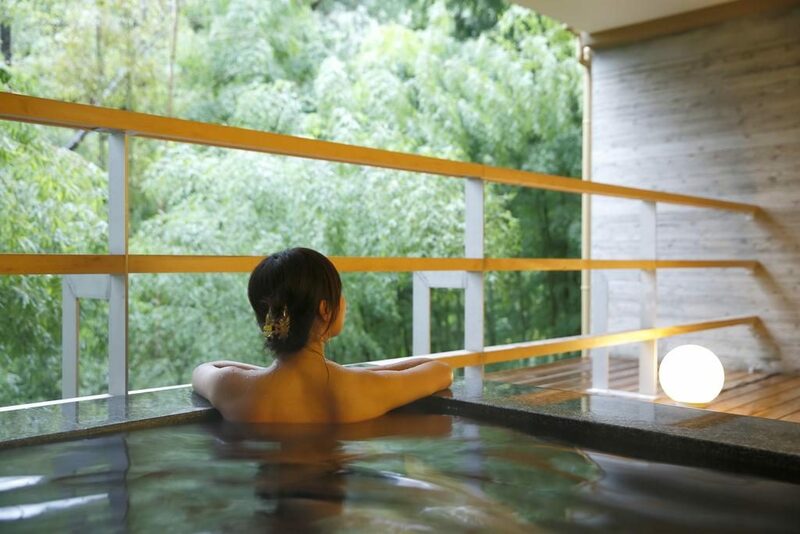 Let’s crown this list with the splendid Green Plaza Hakone, a ryokan that has a unique onsen with a view of Mount Fuji ! This setting reminds me a little bit of Kawaguchiko actually. It’s a village in the North of Mount Fuji that also has many beautiful ryokan by the way. So what makes the Green Plaza Hakone so special is the fact that it is high up the mountains and offers breathtaking views. 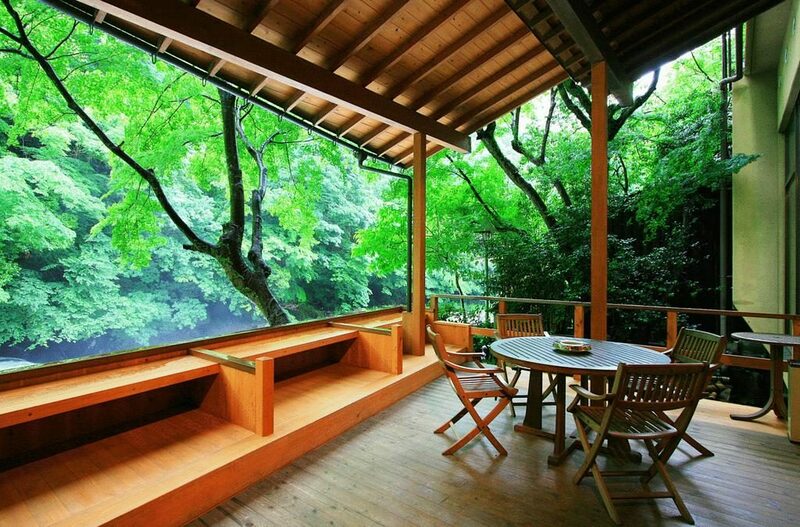 Just like the first ryokan of this list, the Green Plaza is also modernly designed so no tatami involved. It is nonetheless very warm and welcoming with its colors and wood furniture. And if you prefer to stay inside, you’ll also find indoors public baths. 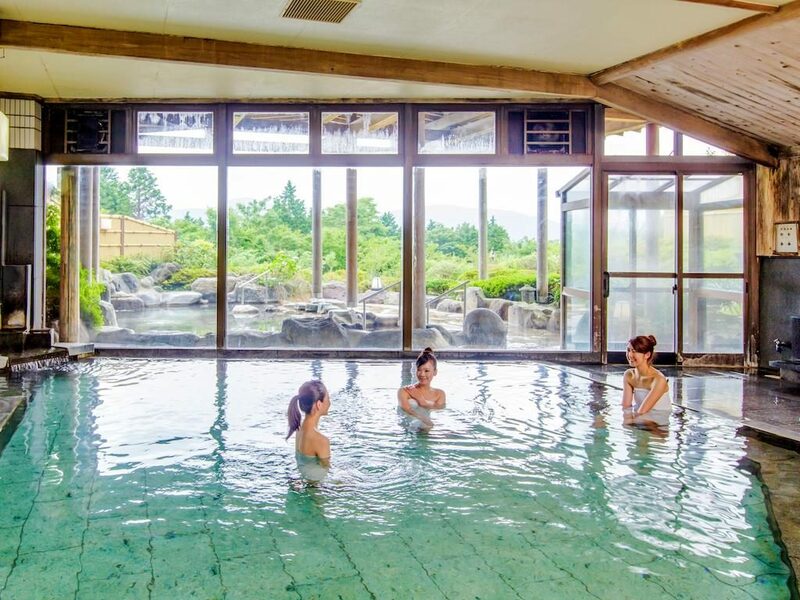 Our list of the best ryokan in Hakone is now over but I’d like to tell you about an unusual onsen that is also in Hakone and that not many tourists nor Japanese people themselves know about although it’s definitely crazy! I’m talking about the Yunessun ryokan, located exactly here. I thought I’d tell you how peculiar it is but I found this video that could communicate it much better. 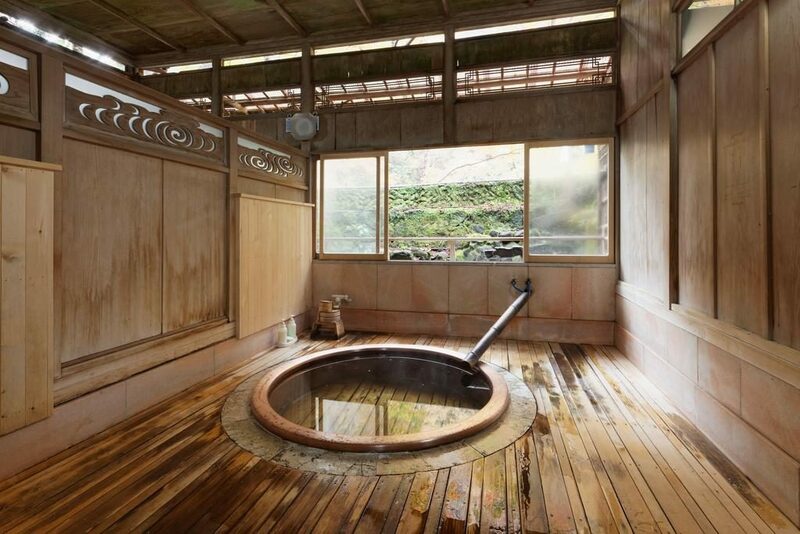 Ever dreamed of soaking in wine or sake-filled swimming pools? Your wishes will be granted in Yunessun. Just so you know, full access to the resort will cost you 2 900 yen or about $30 to spend the day there. Honestly, I think it’s worth it, and you can even have lunch there. Book your tickets here. That’s it for this Hakone Ryokan blog post, friends! Thank you for reading along and please share it around or comment below if you liked it! Don’t miss out on my upcoming adventures in Asia so subscribe to my social media accounts here: Facebook, Instagram, Youtube and Pinterest. Hakone is an awesome place to experience the wonder of Japan. 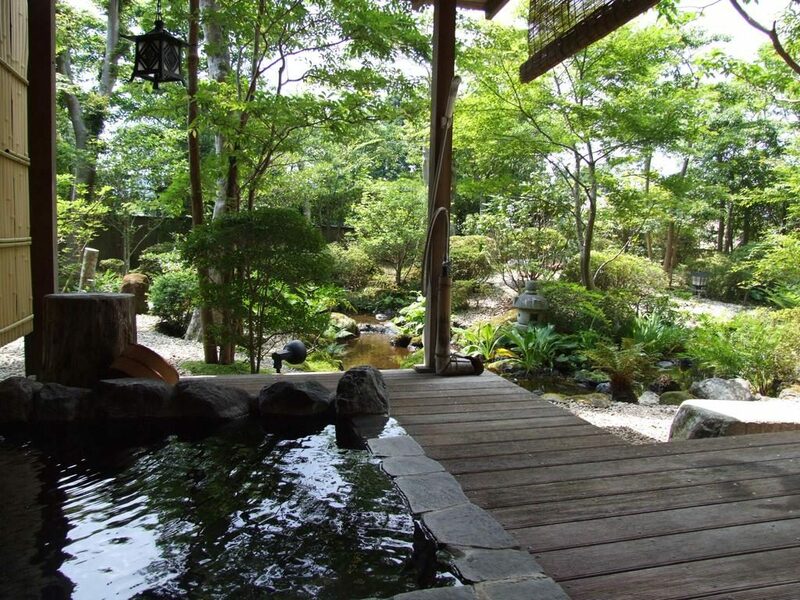 A ryokan visit is a a must do if you visit!